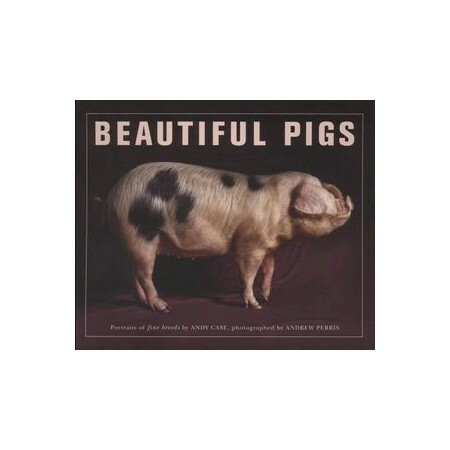 Beautiful Pigs presents pigs as you have never seen them before - primped, polished and looking positively gorgeous. Every aspect of porcine elegance has been captured here in glorious full-colour photography. Andy Case has many years' experience specialising in rare breed pigs such as Kune Kune, Middle White, and Oxford Sandy & Black and is one of Britain's most well-respected pig breeders. He and his wife currently keep a 25-sow herd of Oxford Sandy & Blacks, and seven Kune Kune sows on their farm in Dorset. Andy was also one of the first breeders to import rare pigs into the UK from New Zealand in 1996.